A few days ago, a statue of Mahatma Gandhi was damaged by unknown persons in Thaliparamba area of Kannur. The spectacle of the statue was also damaged. 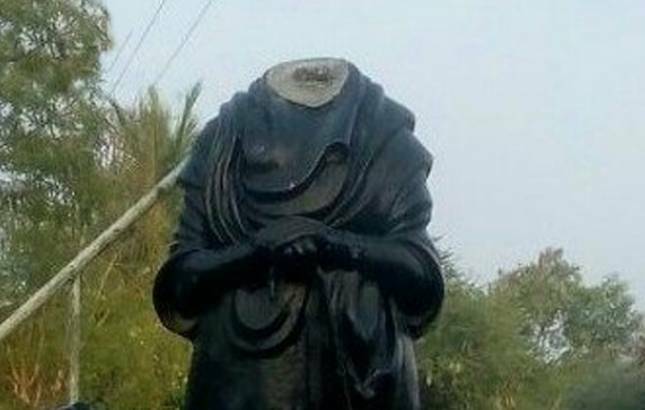 The statue vandalism row doesn't seem to come to an end as a Periyar idol was vandalised by unidentified persons in Tamil Nadu's Pudukkottai on Tuesday. A case has been registered and an investigation is on in the matter, ANI reported. The nation has witnessed a spree of statue vandalising incidents over the last one month. A few days back, a statue of Mahatma Gandhi was damaged by unknown persons in Thaliparamba area of Kannur. The spectacle of the statue was also damaged. Last week, black ink had been splashed at a statue of Jawaharlal Nehru in Katwa's Telephone Maidan in Kolkata. Police reached the spot on receiving the information and the statue was cleaned later. In another case, Bharatiya Jana Sangh founder Syama Prasad Mukherjee's bust was vandalized in Kolkata's Kalighat. In Tamil Nadu, unidentified miscreants poured paint on the idol of Dr. B.R. Ambedkar in Tiruvottiyur, Chennai.